Creating a theme for a kids birthday party can be easy with just a few decorations and games to play. 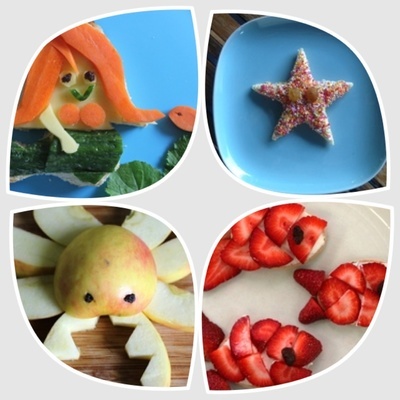 'Under the Sea' is a lovely idea that pre schoolers in particular enjoy. 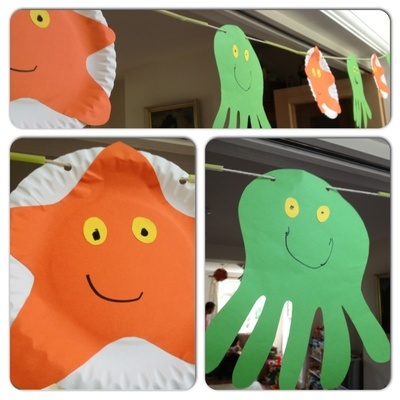 Here are a few ideas for making your own Under the Sea theme kids party. Make some simple but striking bunting. To create this one all you need is some string, paper, small paper plates and straws. Cut out some paper octopus. Use a hole punch to create holes at the top of your creates and then thread through string. Between each create, thread through a straw to stop them bunching together. Let your kids have lots of fun before the party, painting a large white paper table cloth. Swirls of blue and potato printing fish will give it that underwater feel. The birthday cake can be part of the theme too. 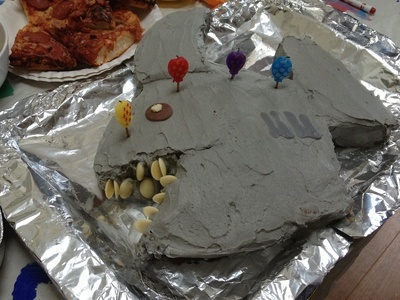 Try making a shark with jagged chocolate button teeth or even a simple fish. 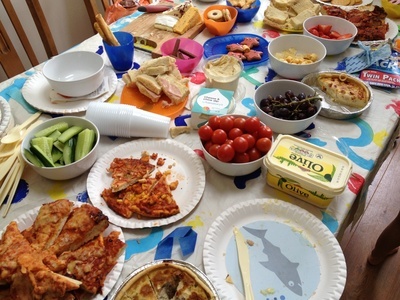 Have a look at some great party food ideas here. A really easy spin on a classic is pin the fin on the shark. 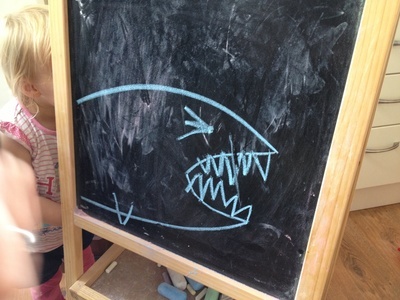 Draw a shark on a chalk board or large piece of paper. Give each child a paper fin, blind fold them and let them stick it on the shark (use blue tak rather than pins). The closest person is the winner. 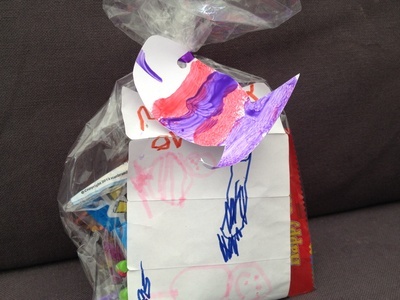 Attach a paper fish to a party bag to give it an under water spin or stick the fish to the outside of a plain bag. Hope you have fun at your Under the Sea party.